So in honor of Dorothy Leigh Sayers birthday here's an excerpt from Chapter one of Strong Poison. There were crimson roses on the bench: they looked like splashes of blood. The patient old eyes seemed to sum them up and take stock of their united intelligence. Three respectable tradesmen--a tall, argumentative one, a stout, embarrassed one with a drooping moustache, and an unhappy one with a bad cold; a director of a large company anxious not to waste valuable time; a publican, incongruously cheerful; two youngish men of the artisan class; a non descript, elderly man, of educated appearance, who might have been anything; an artist with a red beard disguising a weak chin; three women--an elderly spinster, a stout capable woman who kept a sweet shop and a harassed wife and mother whose thoughts seemed to be continually straying to her abandoned hearth. "Members of the jury--you have listened with great patience and attention to the evidence in this very distressing case, and it is now my duty to sum up the facts and arguments which have been put before you by the learned Attorney-General and by the learned Counsel for the Defence, and to put them in order as clearly as possible, so as to help you in forming your decision. "But first of all, perhaps I ought to say a few words with regard to that decision itself. You know, I am sure, that it is a great principle of English law that every accused person is held to be innocent unless and until he is proved otherwise. It is not necessary for him, or her, to prove innocence; it is, in the modern slang phrase 'up to' the Crown to prove guilt, and unless you are quite satisfied that the Crown has done this beyond all reasonable doubt, it is your duty to return a verdict of 'Not Guilty.' That does not necessarily mean that the prisoner has established her innocence by proof; it simply means that the Crown has failed to produce in your minds an undoubted conviction of her guilt." Salcombe Hardy, lifted her drowned violet eyes for a moment from his reporter's note book, scribbled two words on a slip of paper and pushed them over to Waffles Newton. "Judge hostile." Waffles nodded. They were old hounds on this blood trail. Here is a complete list of her works. 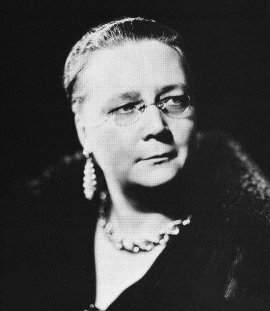 Join me in honoring Dorothy Sayers and read one of her works this month. Dorothy L Sayers is one of my favorites. I hope you love these as much as I do. I find the grouping in the book you've inherited a bit odd, though. Strong Poison and Have His Carcase are two later books with Lord Peter and Harriet Vane. Unnatural Death is an earlier book...so be warned the Peter in Strong Poison has grown a bit since Unnatural Death. Much as I love Sayers, I probably won't reread any of her books this month...I just finished a complete reread for a challenge last year and I've got too many sitting on my TBR stack that need attention. Happy reading! Thanks Bev, Good to know. Will start with Unnatural Death then. My absolutely favorite Lord Peter Wimsey book is The Nine Tailors. For some reason that book captivated me more than any of the others, though I enjoyed them all. One of these days, I am going to read Dorothy Sayers. I had friends who were wild about her and even had an online book club discussion, but I wasn't able to participate at the time. Wonder what I should start with. Ideas? Whose Body? is probably the most dated of the books...but it's still a great deal of fun. Totally worth it for the scene with the aged mother of Thipps (an architect of Wimsey's acquaintance who finds the body)on the witness stand. Has me laughing every time. It is Wimsey at his earliest and most silly-British-man-about-town persona. But it also gives us a bit of info on Wimsey's experiences in WWI and some of the time periods views on shell-shock--so a bit of serious business as well. Get so many good suggestions here - keep adding to my "Books to Read" list! Robin, I totally missed this ; ). Made my day! Nine Tailors is my very fav, too; thought Guady Night is right up there. Just finished the Centenary Collection- other great writers writing about Sayers. Happy sigh!